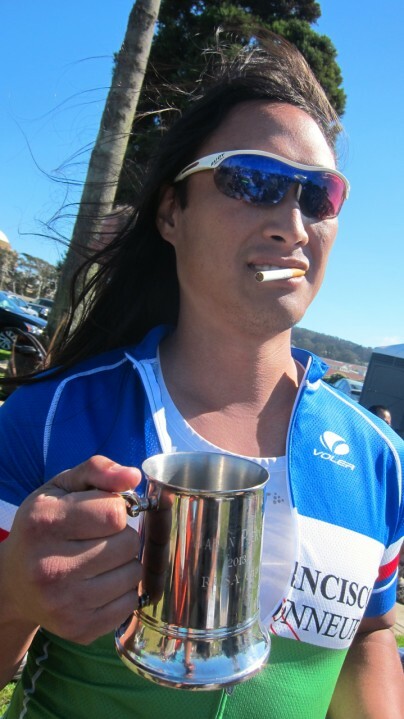 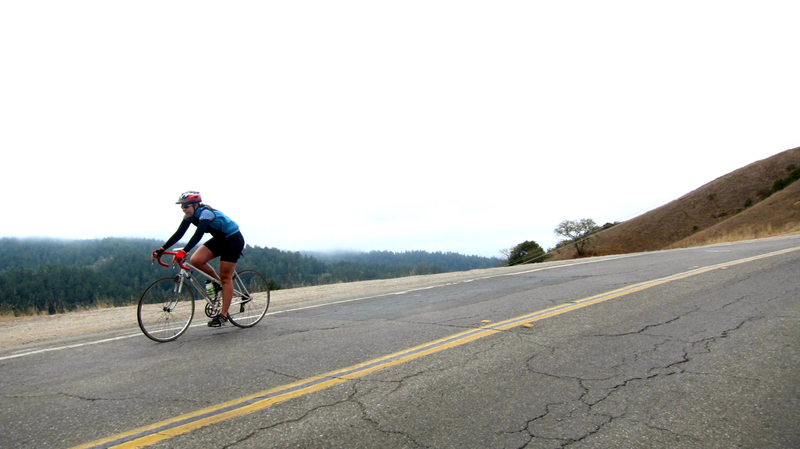 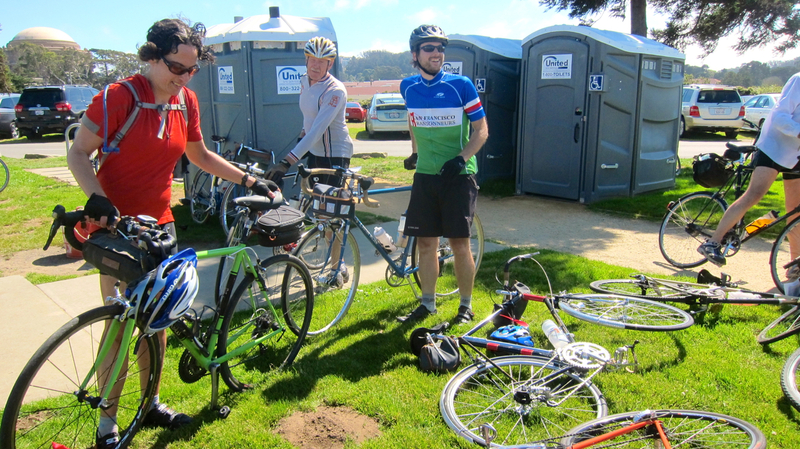 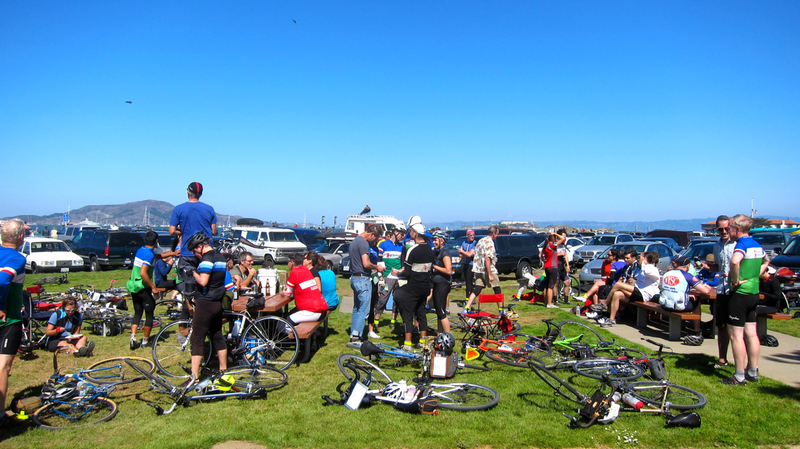 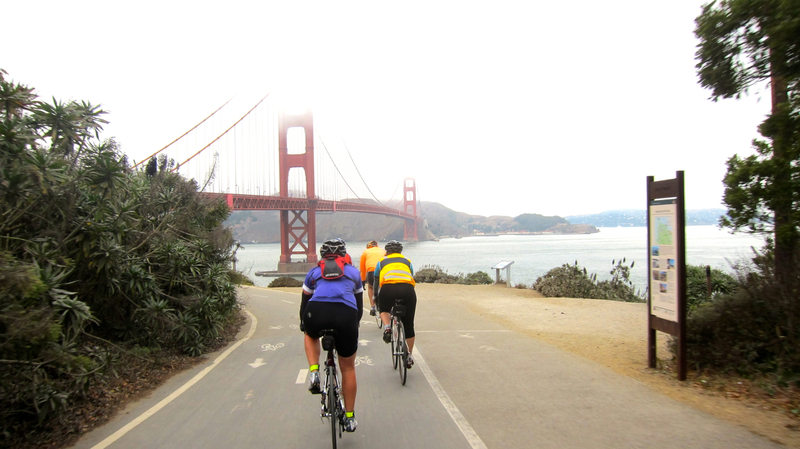 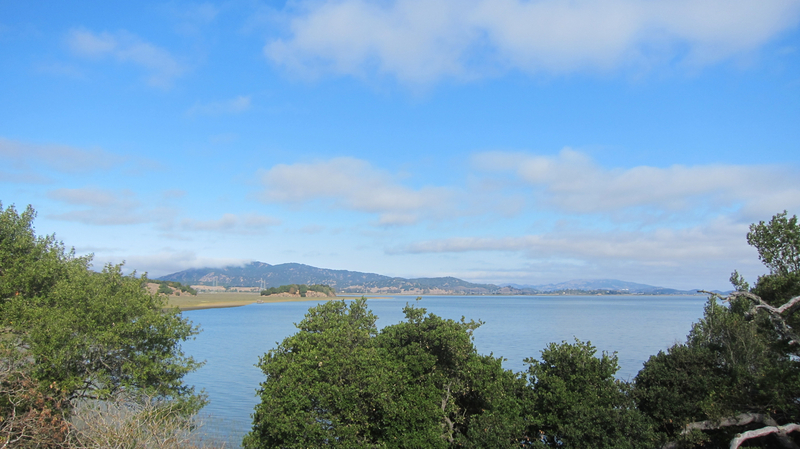 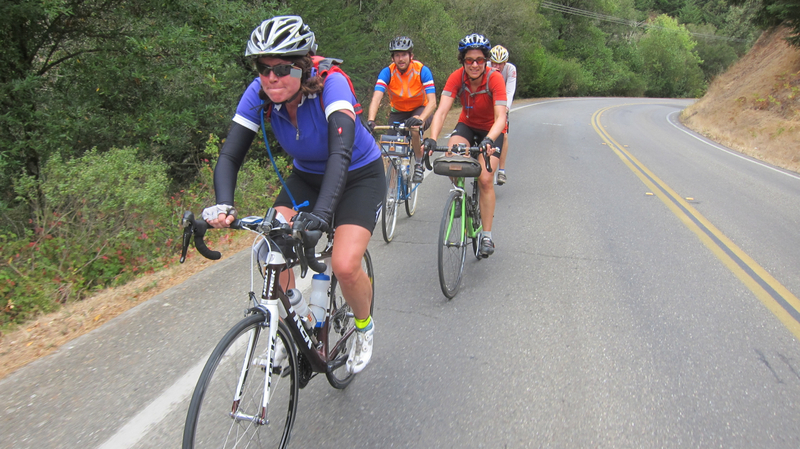 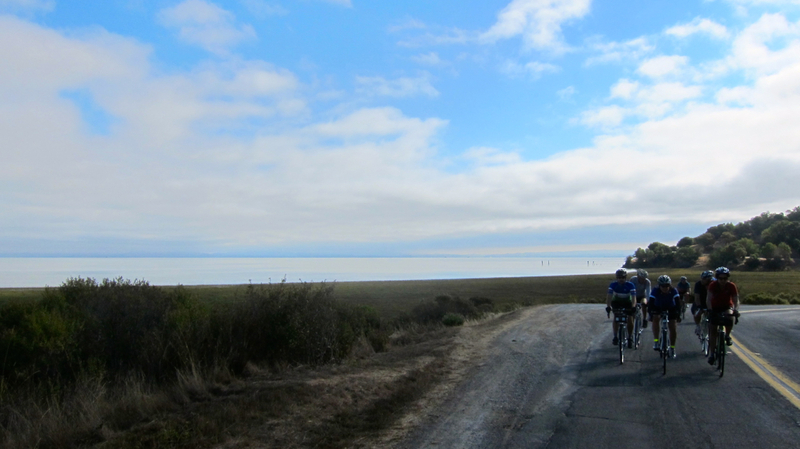 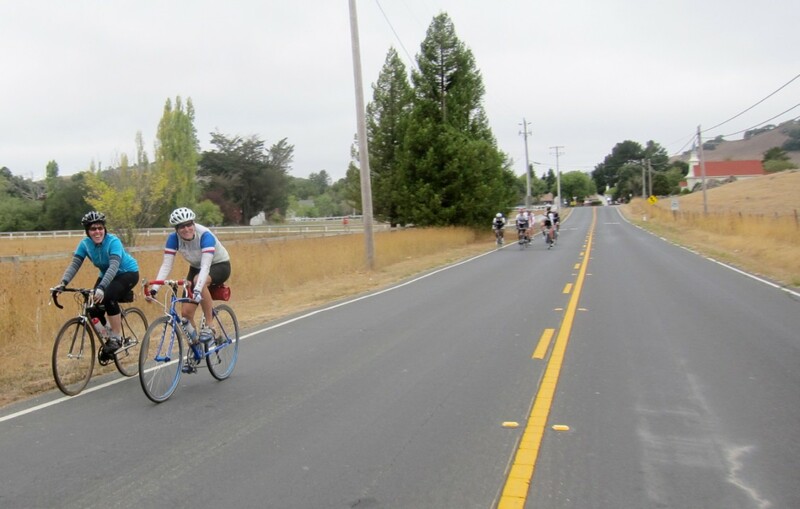 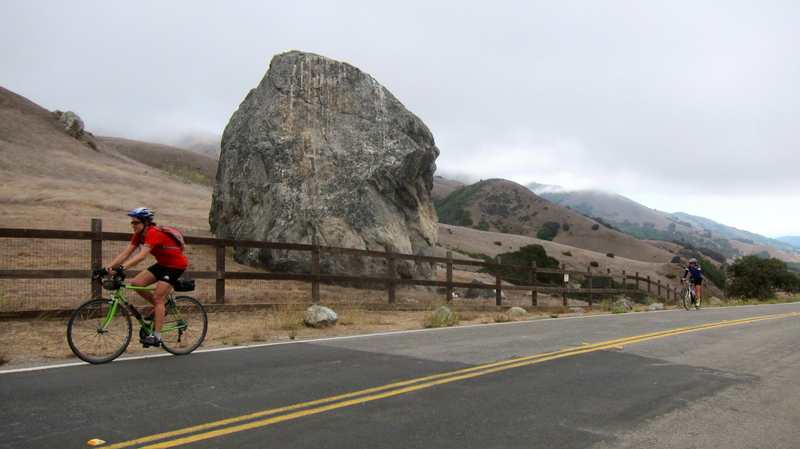 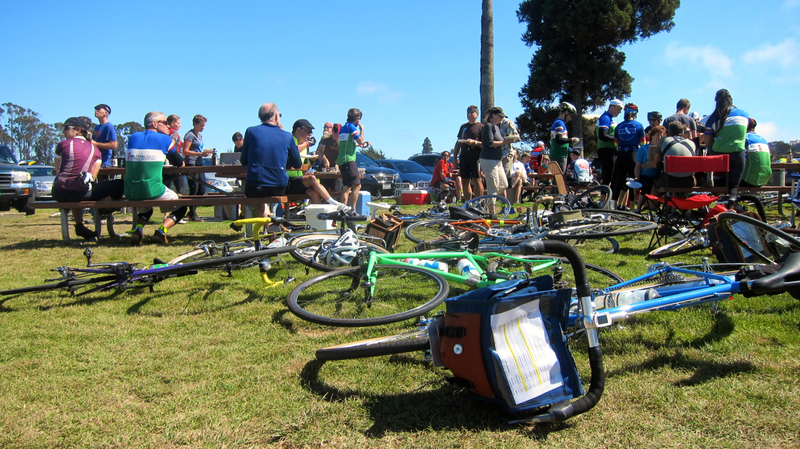 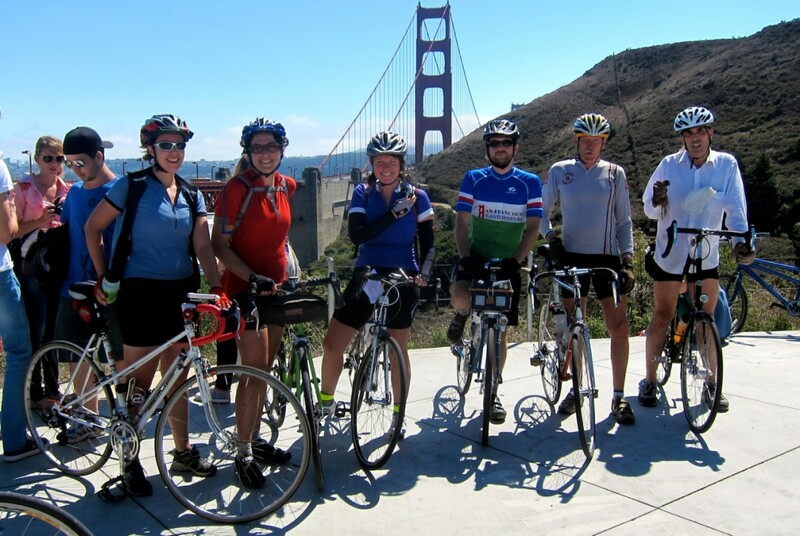 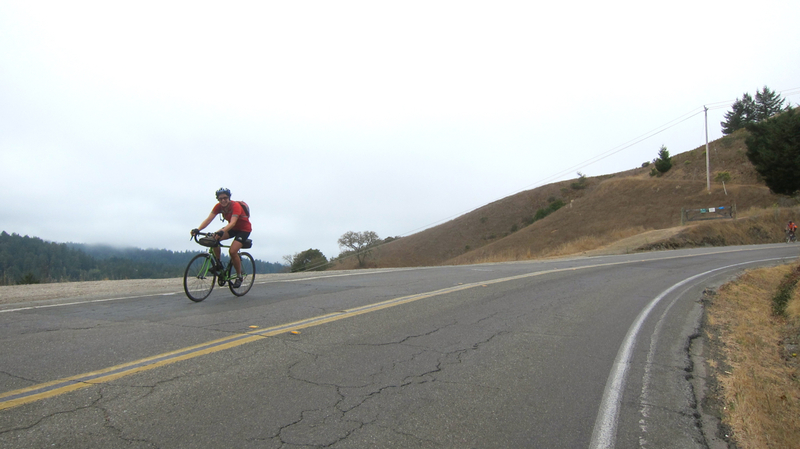 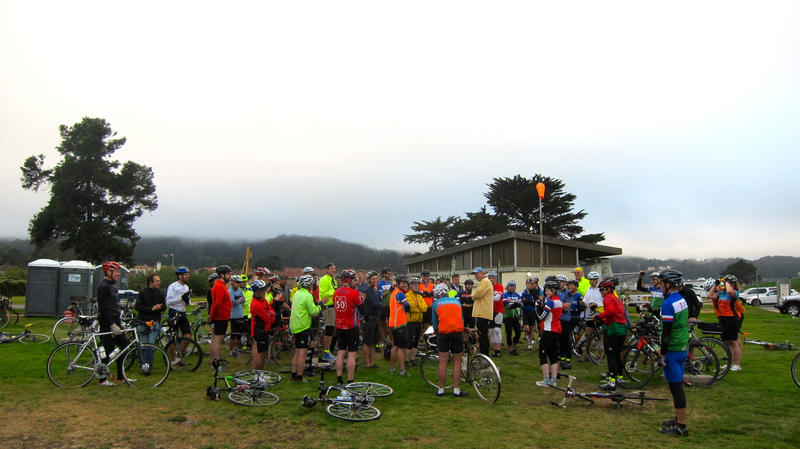 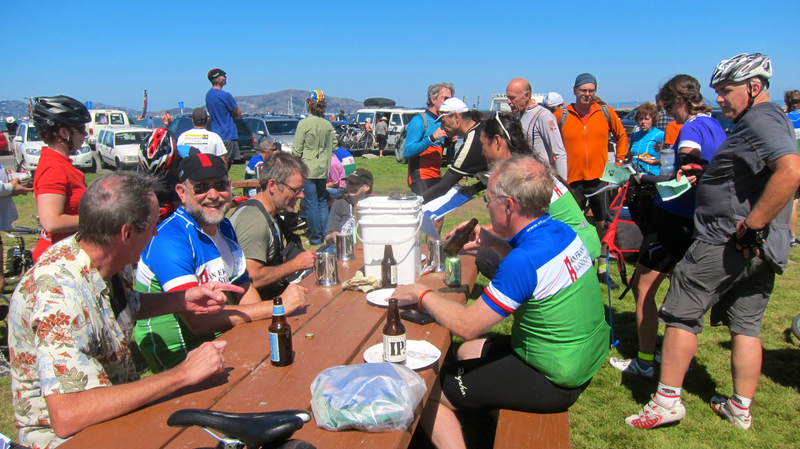 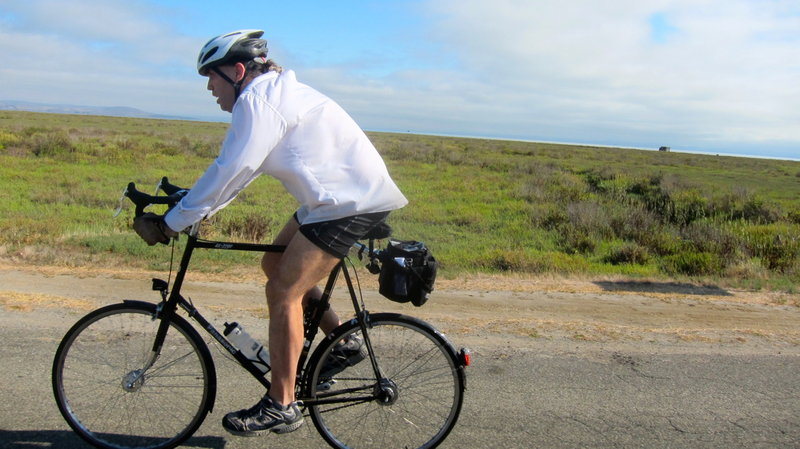 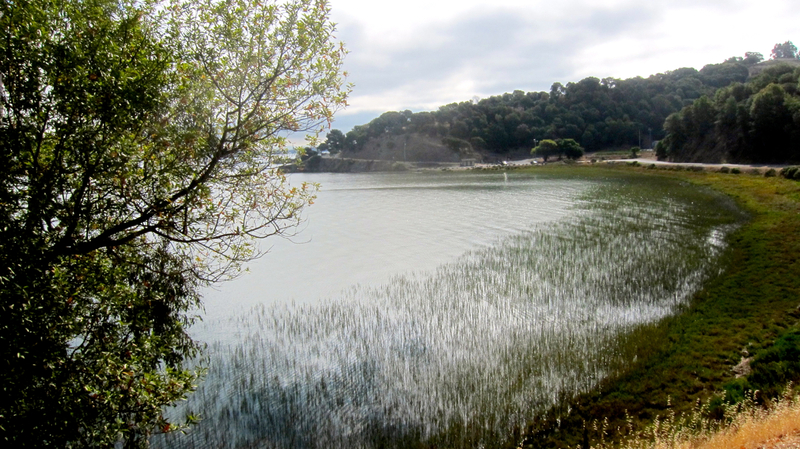 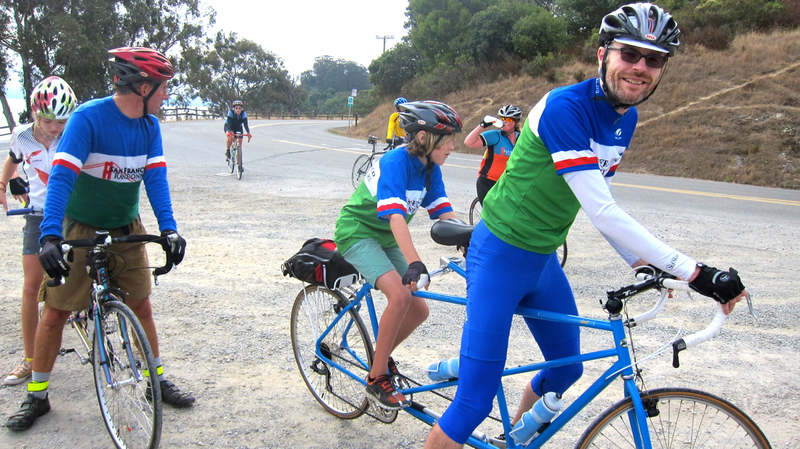 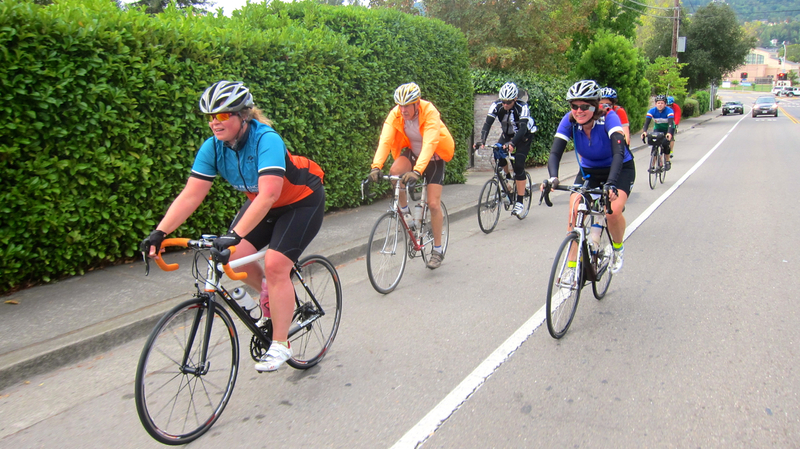 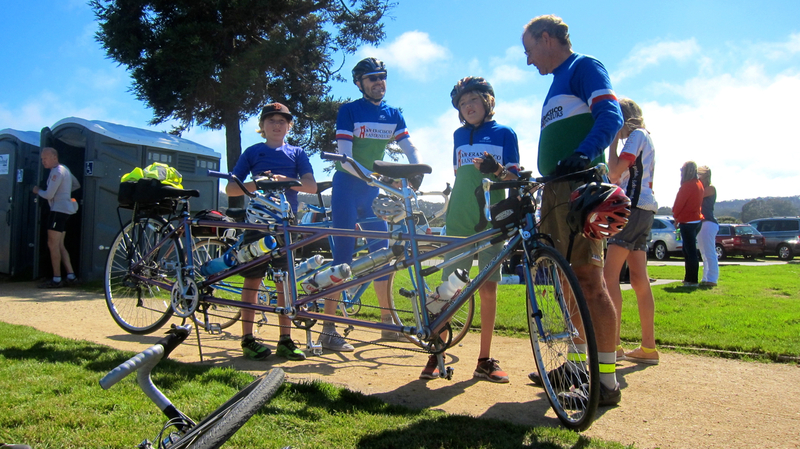 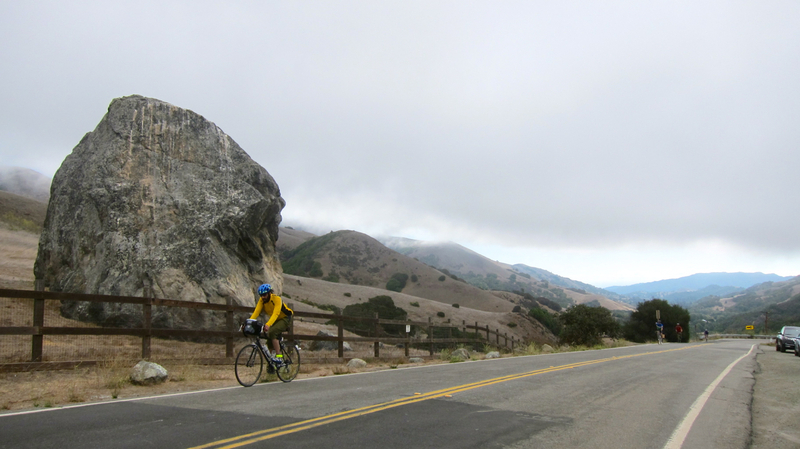 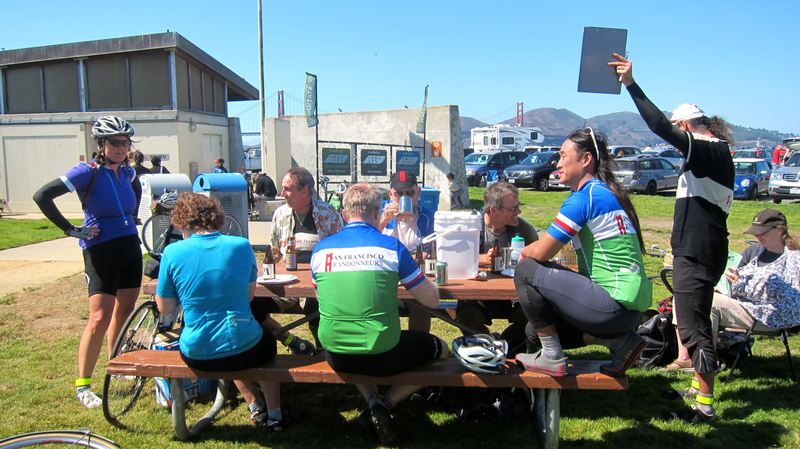 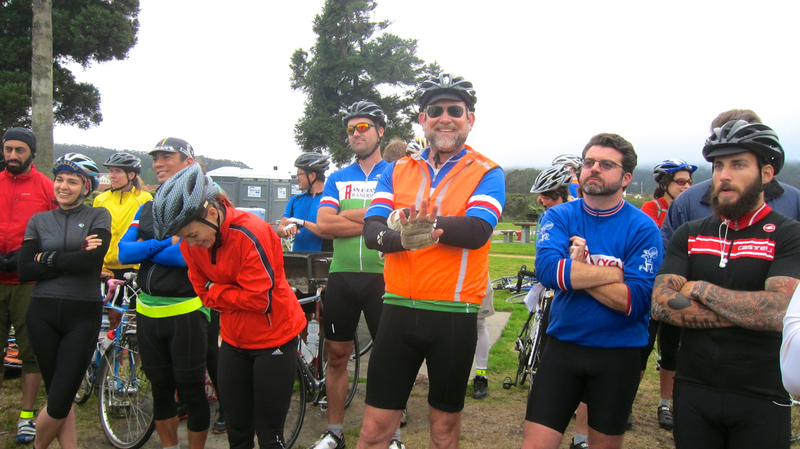 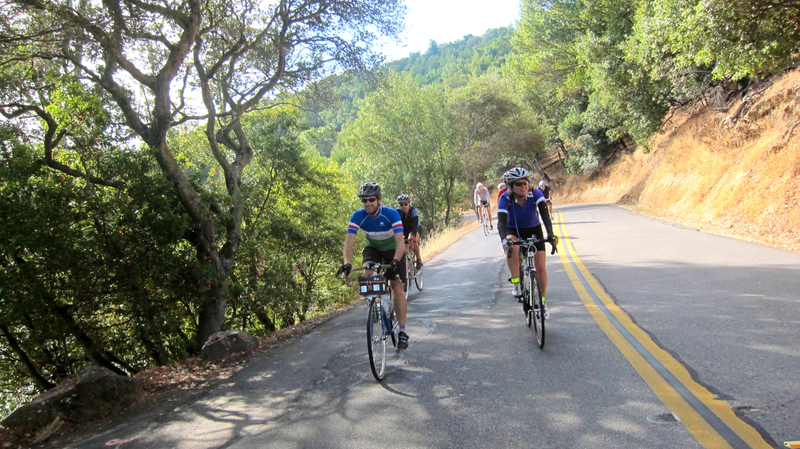 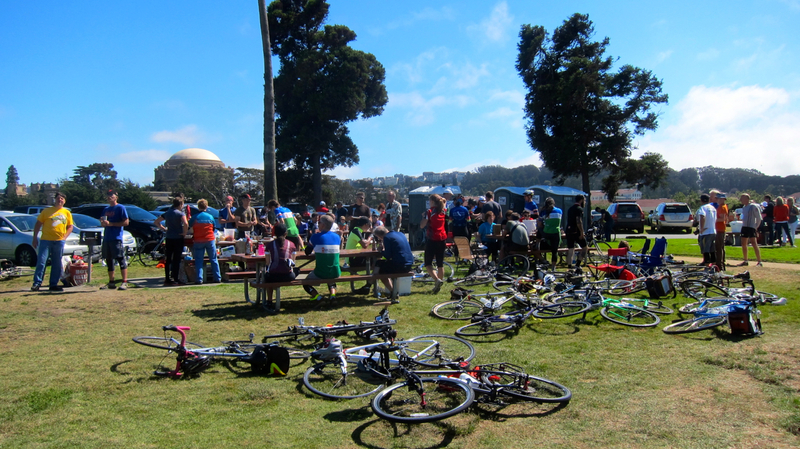 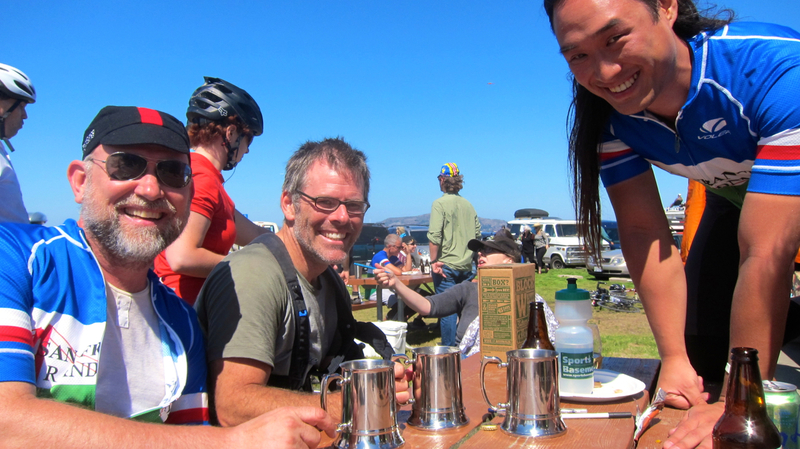 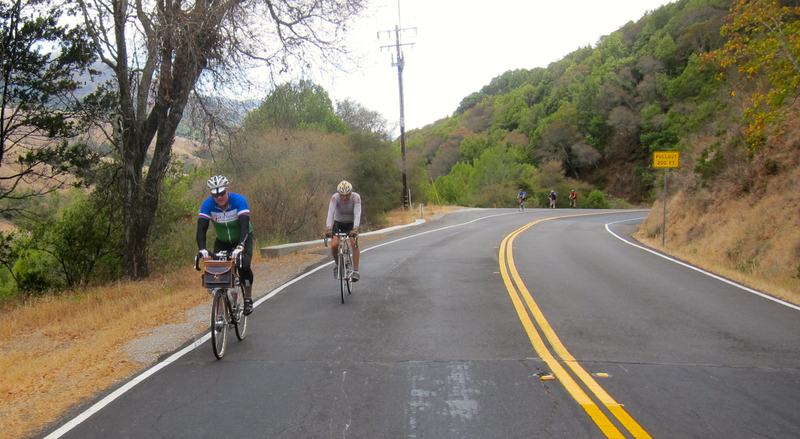 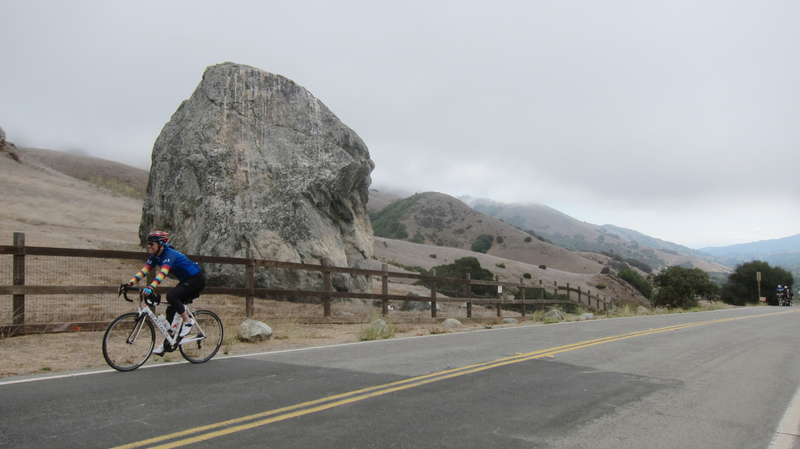 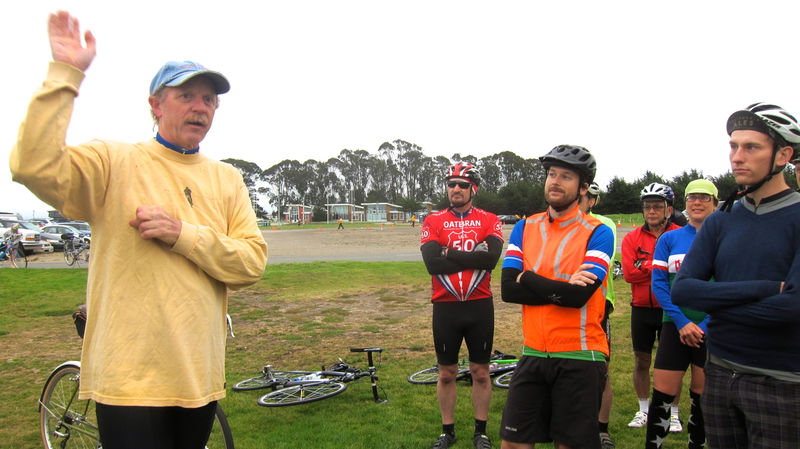 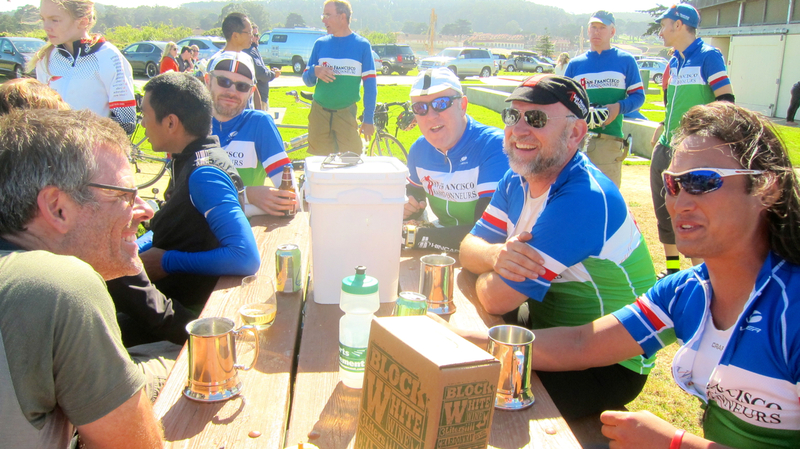 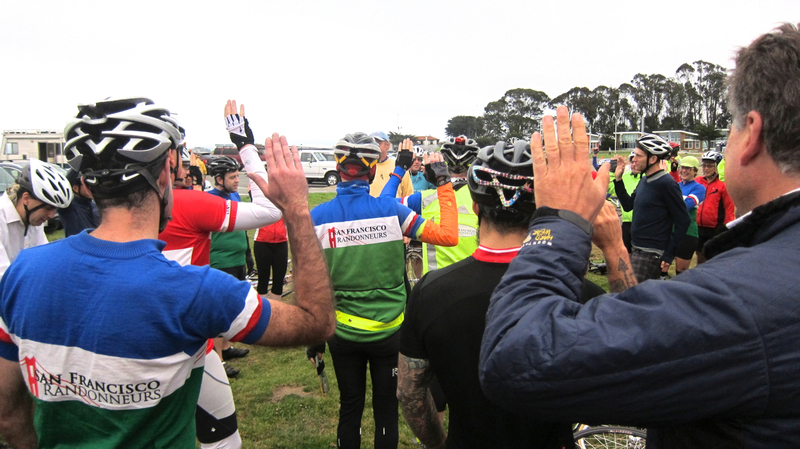 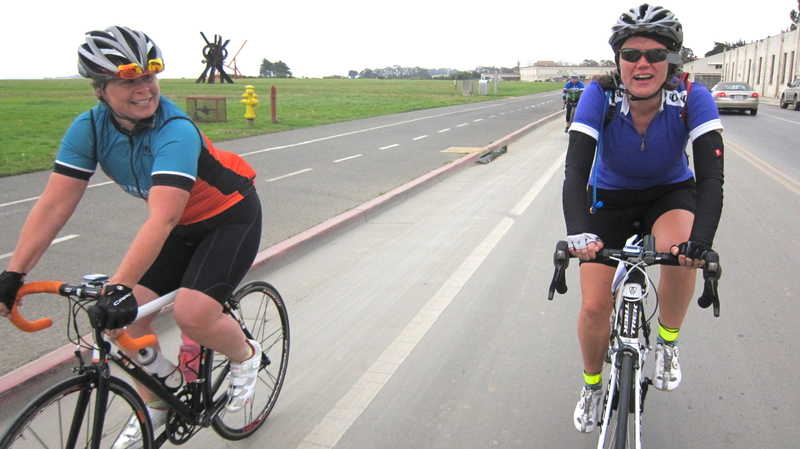 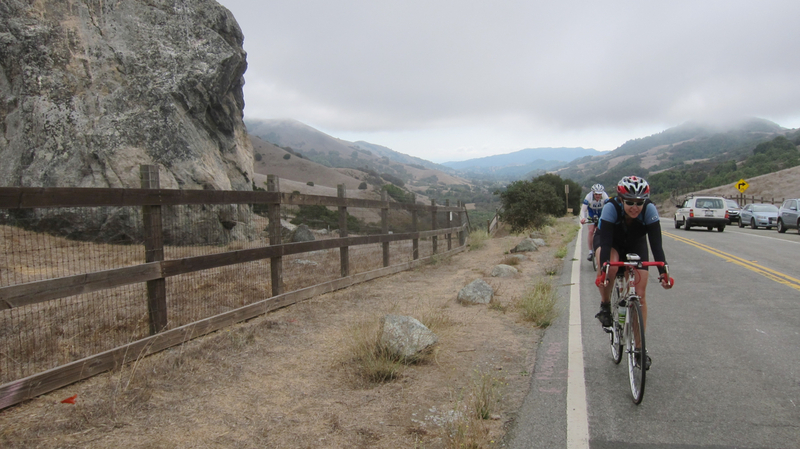 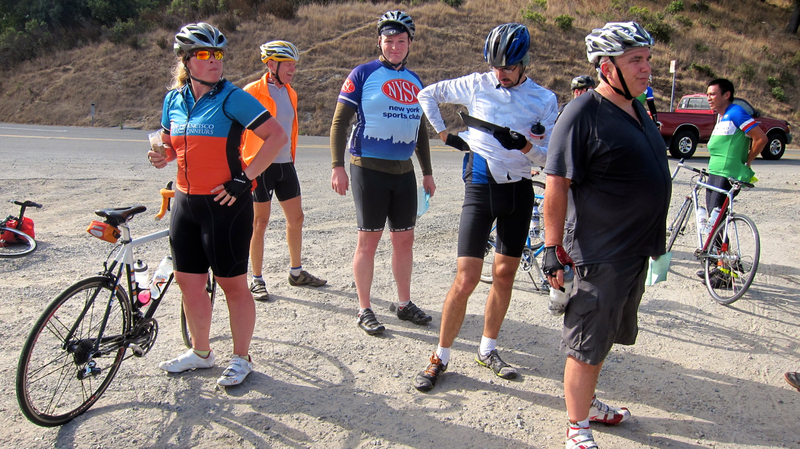 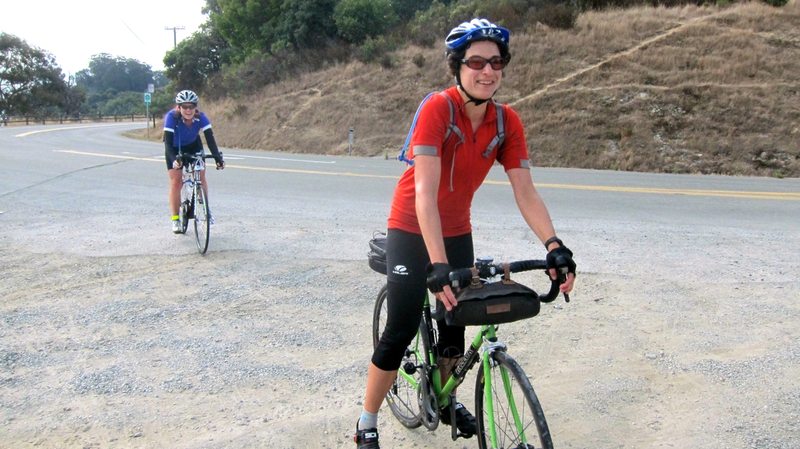 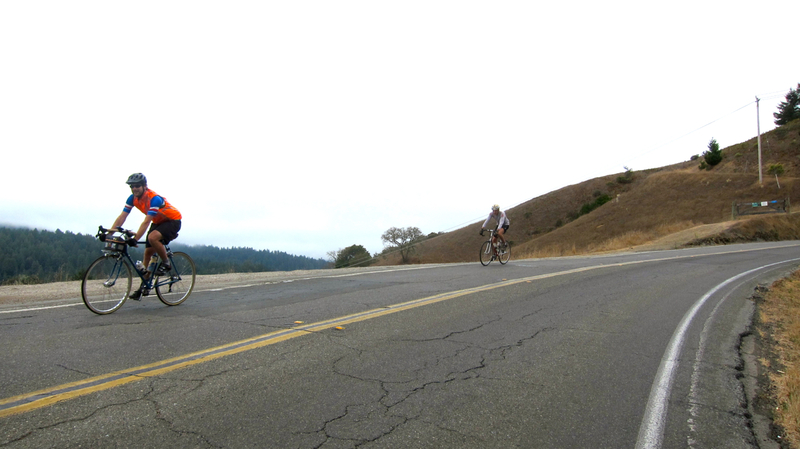 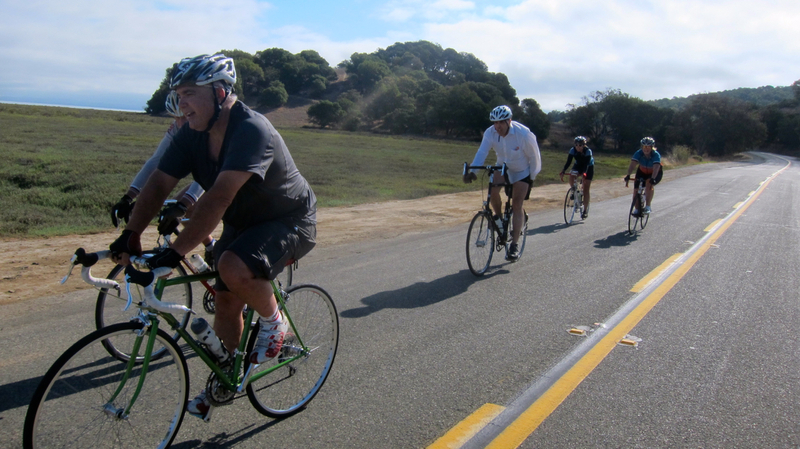 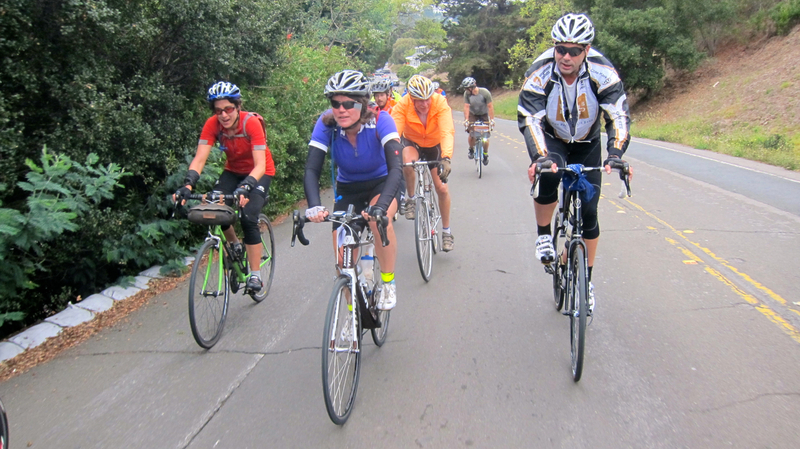 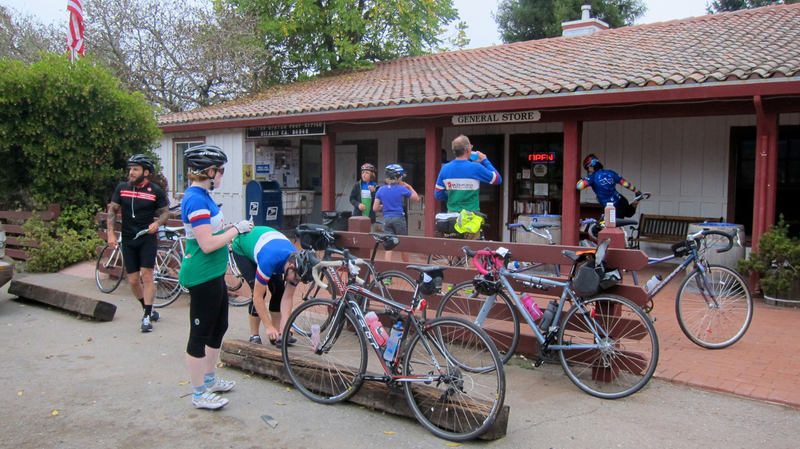 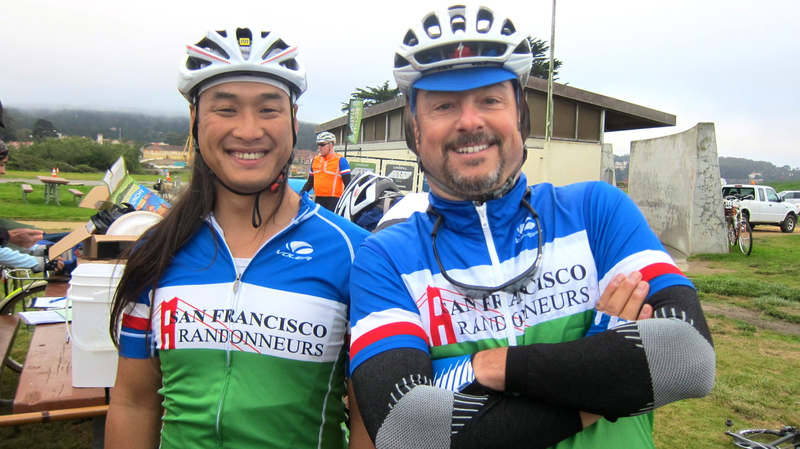 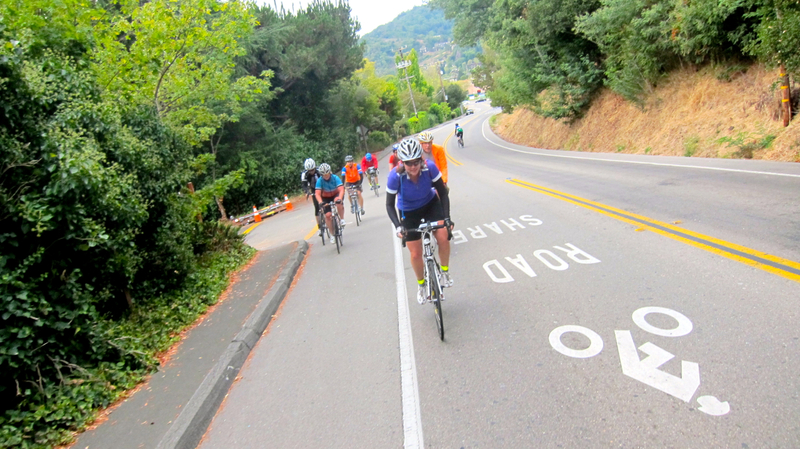 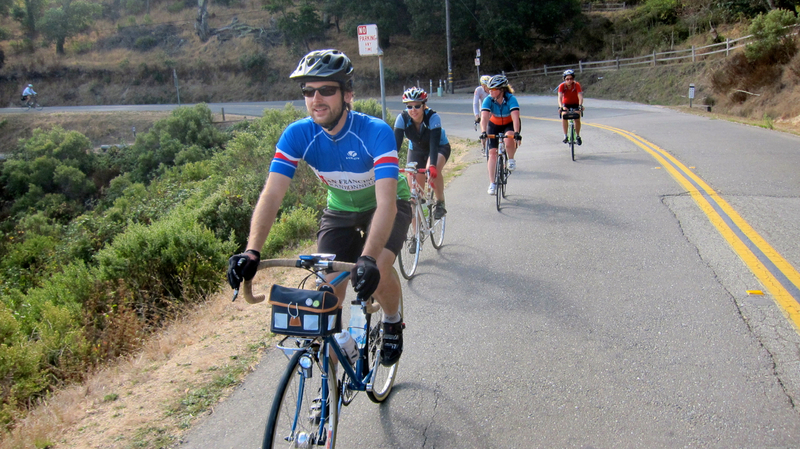 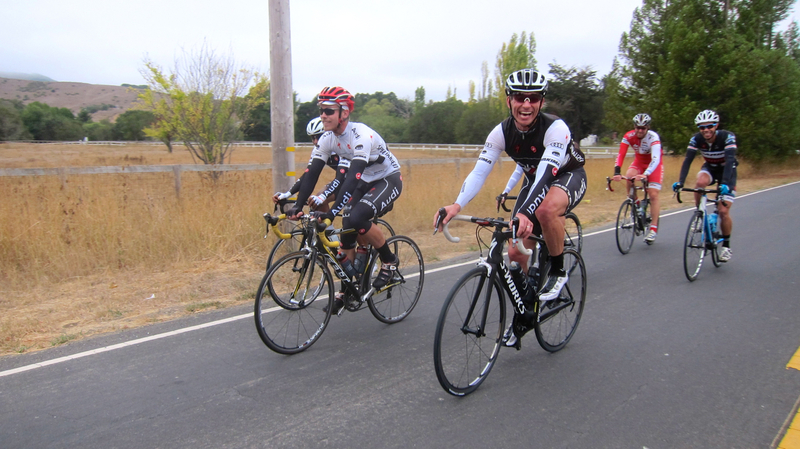 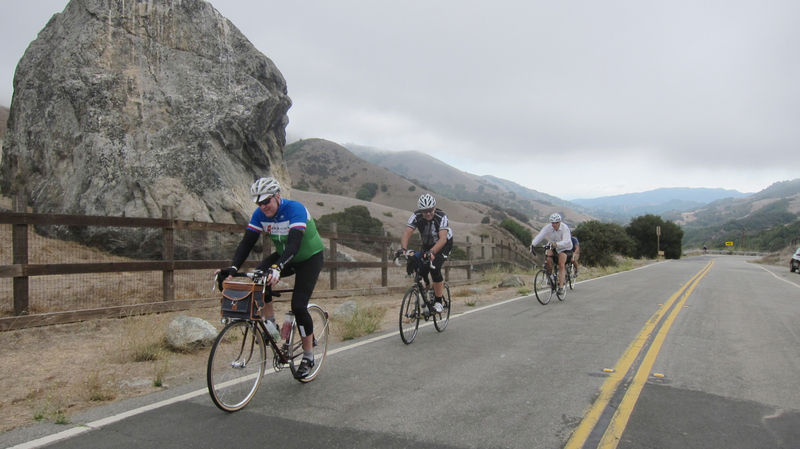 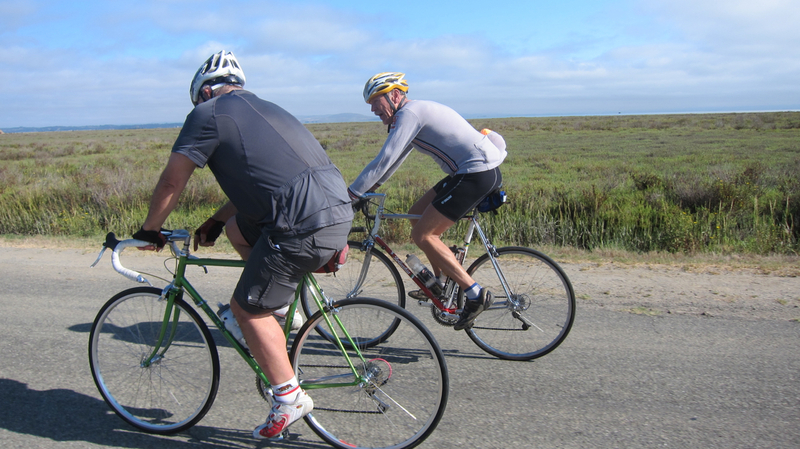 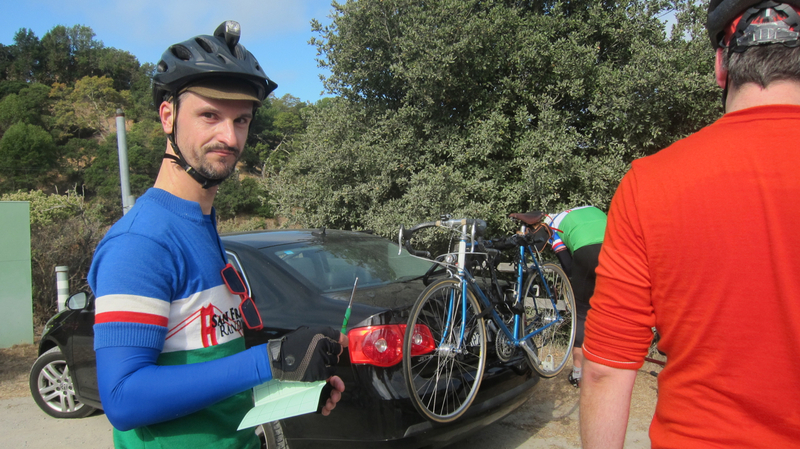 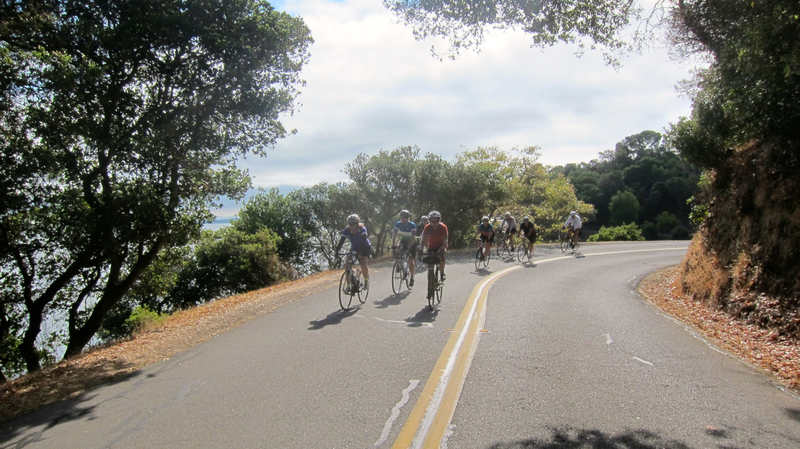 Today the San Francisco Randonneurs hosted the Lucas Valley Populaire, a scenic 70-mile route that loops through Marin. 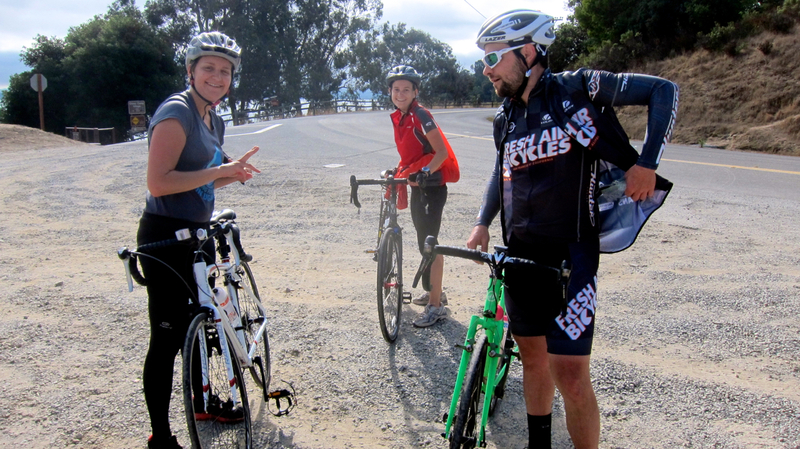 I wanted to roll at a mellow pace today, so I released The Bearded One from his “accompany-the-wife” duties and suggested he go hammer with some fast friends. 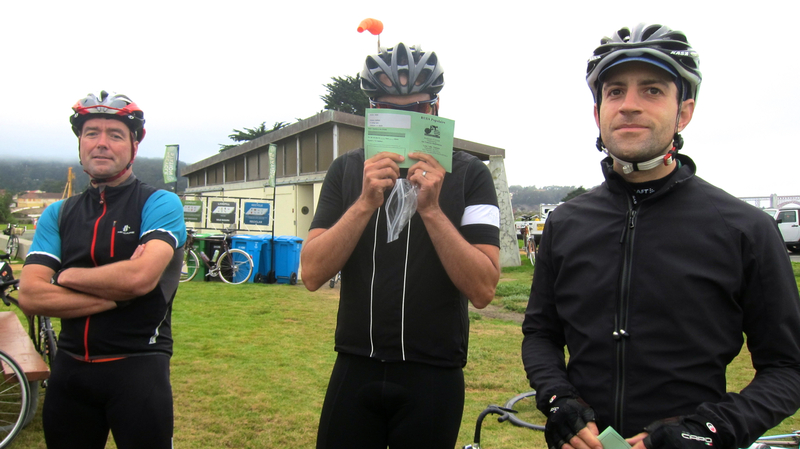 He joked, “We’ll go win this thing!” and proceeded to finish in 4 hours with Adam (who finished first), Doug, Michael, Patrick and several others. 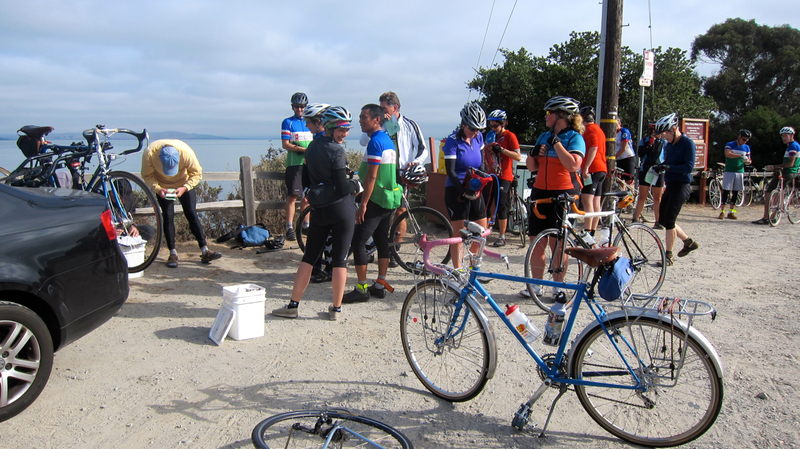 I hooked up with some old and new friends — Ann, Bonnie, Jim, Pierre, Sarah and Caitlin (and this was her longest ride to date, congrats!) 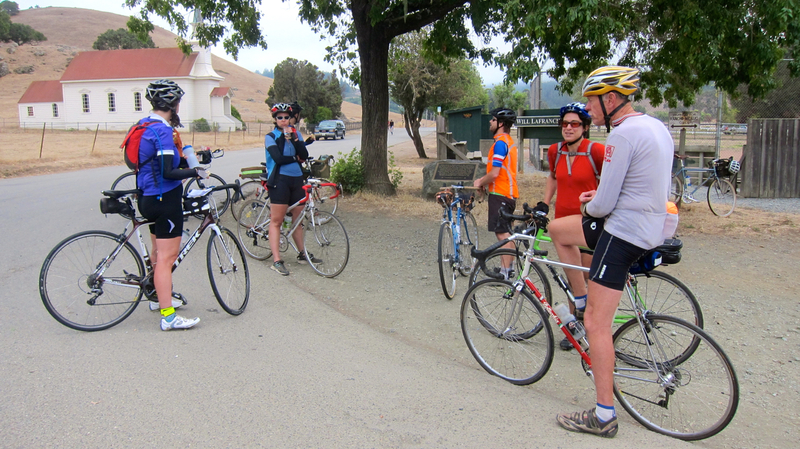 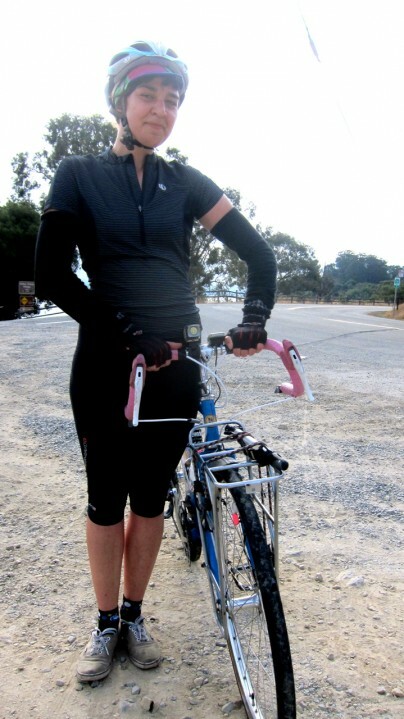 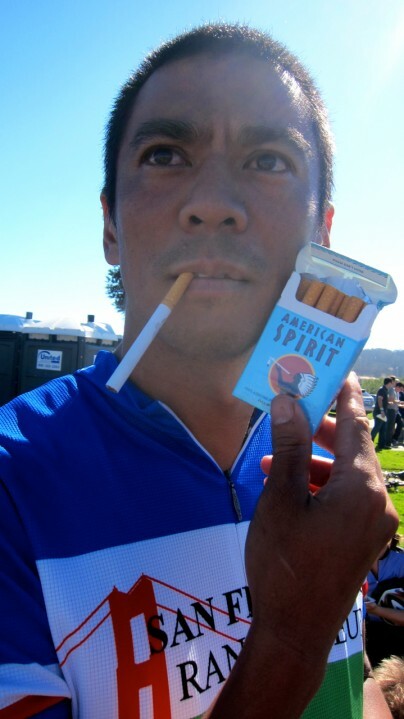 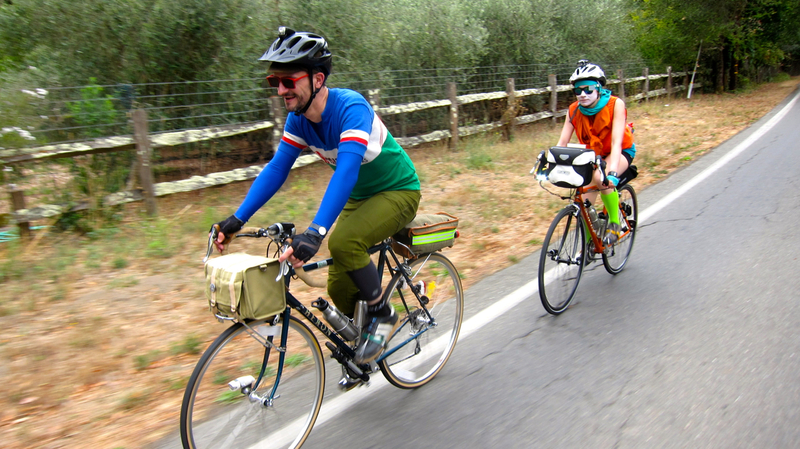 — and we had a lovely time riding at an easy, conversational pace in the cool weather. 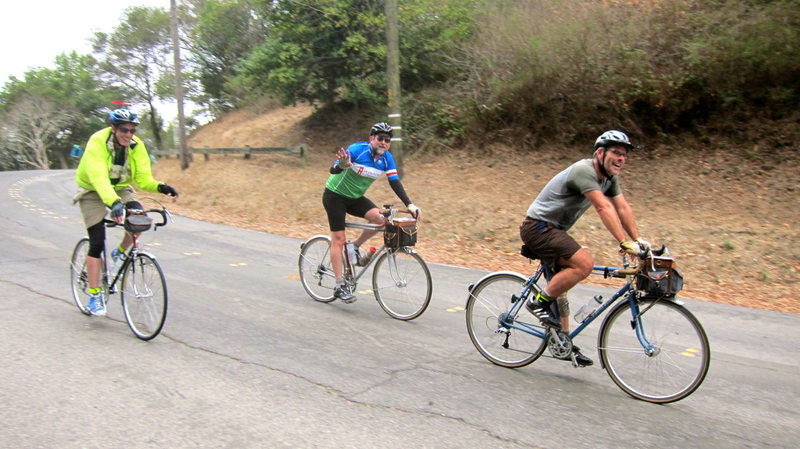 Other folks drifted in and out of our group as we passed through China Camp and ascended Lucas Valley Road; there were 100 riders at the start so we saw plenty of smiling faces along the way. 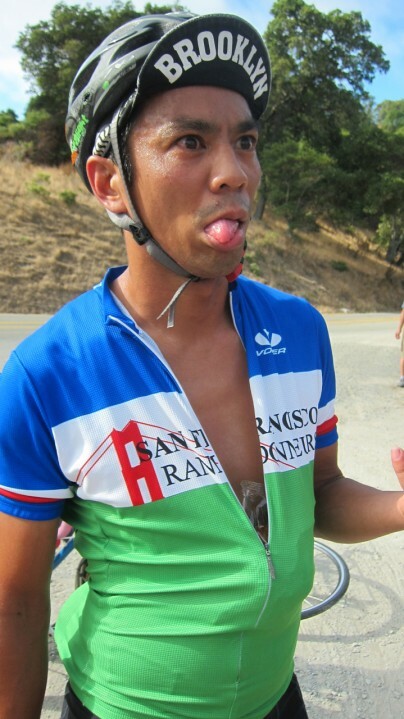 The only downside was getting stung in the face by a bee, but I found that using a cold beer as an ice pack helps soothe the pain! 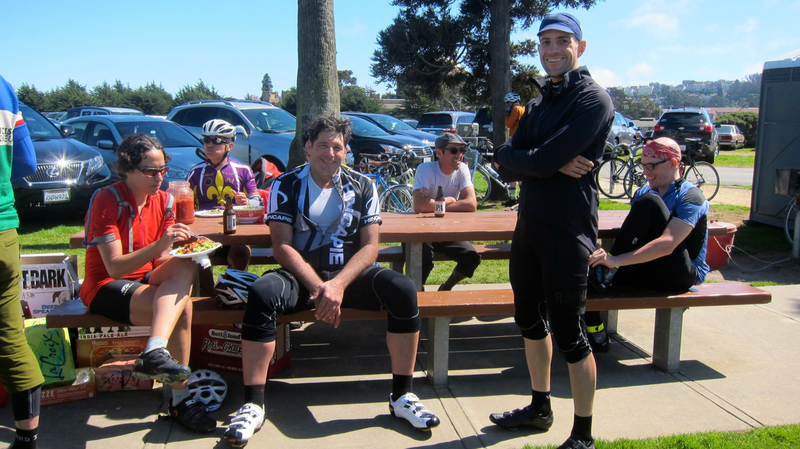 A big thanks to our RBA Rob Hawks and all of the volunteers who helped to make this event super fun — especially Kimber and John Guzik who organized yet another delicious picnic!